It’s been a long time coming — the Bourbon Coffee Porter has aged a full year in barrels. The Hoptango IPA (their regular Hoptonic fermented with fresh mango and dry hopped with Amarillo hops) is also ready for its growler debut after several experimental batches. Growler fills of both are available for $24. Serendoggity Hot Dogs will be at the Del Amo Boulevard brewery all day Saturday. Craft beer fans who are also IndyCar fans will want to race over to Hangar 24 Craft Brewery from 6 to 9 p.m. Thursday (August 28). That’s because the brewery is hosting an as-yet-unknown IndyCar car and driver in advance of Saturday’s (August 30) MAVTV 500 at Auto Club Speedway in Fontana. 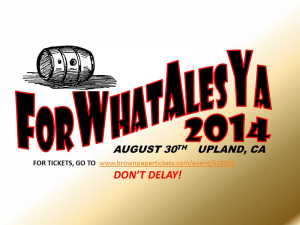 Tickets are available now for this year’s “For What Ales Ya” event, set for 6 p.m. to midnight August 30 at Maniac Mike’s Café at Cable Airport in Upland. The 21-and-older event features local beer on tap and rare bottle shares. 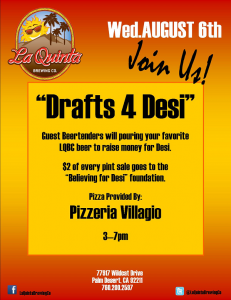 Rancho Cucamonga’s Hamilton Family Brewery will be participating as a guest brewer. Admission is $32 and includes a taster glass, food and beer. Proceeds benefit the Cable Airport Foundation, a nonprofit organization that sponsors scholarships for aviation training and education. The event features about 40 breweries, around 100 wineries and nine food trucks. A complete listing of all paticipants and more information is here. 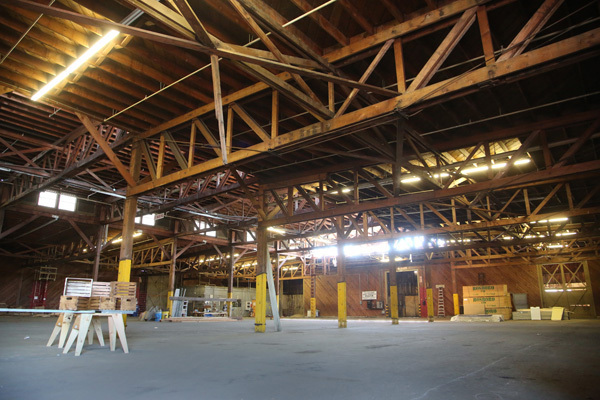 Crafted: The future home of Brouwerij West in San Pedro (Photo by Staff photographer Charles Bennett). The bad news: the ambitious plans we wrote about last year for the Belgian brewery in a historic warehouse at the Port of Los Angeles has hit bureaucratic snags and is running behind schedule (and the planned restaurant is on hold). The good news: San Pedro will soon be home to not just one, but a pair of craft breweries. More on this fall’s planned craft beer festival in San Pedro that was mentioned in the article is here. Angel City Brewery celebrates the return of Avocado Ale in “all its green glory” at the second annual festival of the same name that runs from noon to 8 p.m. Sunday. 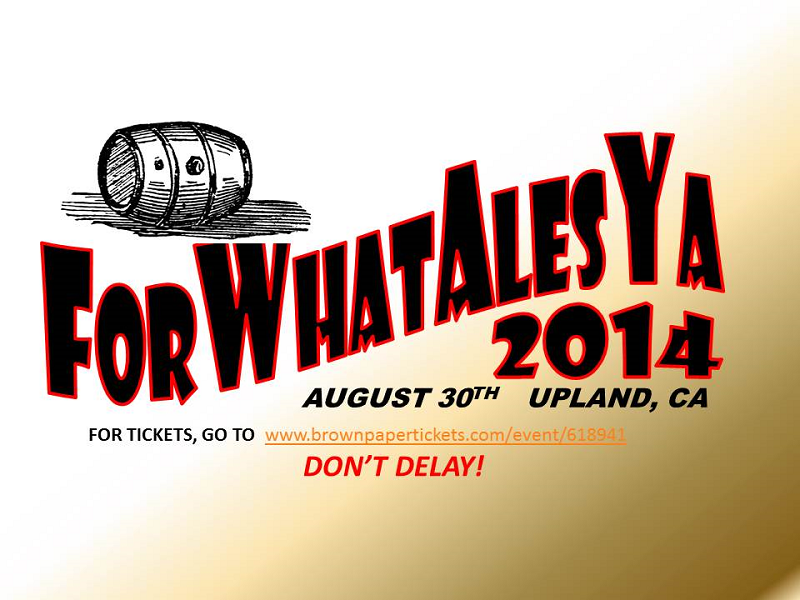 The event features a half dozen live bands, contests and games, a bazaar and guacamole pies. 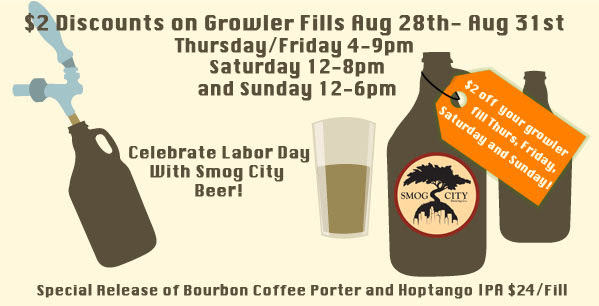 If you were thinking of heading to the Los Angeles Zoo and Botanical Garden’s Brew at the Zoo tomorrow night (August 9), you might want to stop thinking and start buying. That’s because the zoo has announced that there are just over 600 tickets left for the event, which will take place from 7 to 11 p.m. 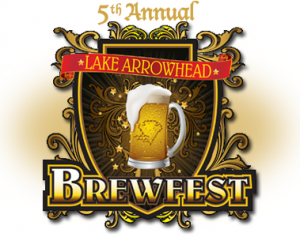 The fifth annual Lake Arrowhead Brew Fest is set for noon to 6 p.m. Saturday (August 9) in the Blue Jay Village parking lot, 27264 Highway 189. 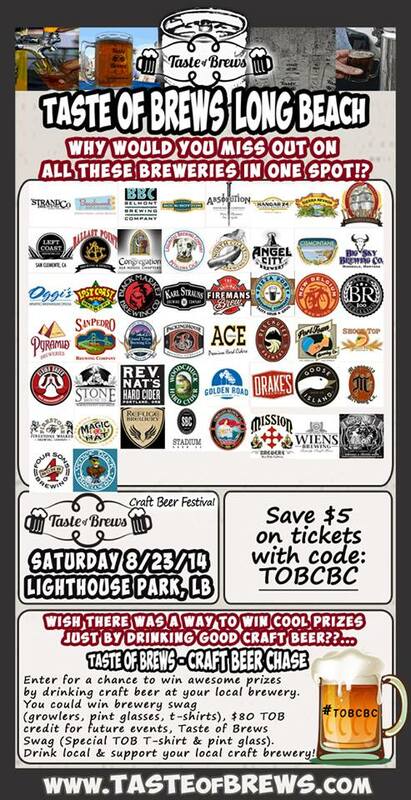 Local participating brewers include Big Bear Mountain Brewery, Ritual Brewing Co., Hangar 24 Craft Brewery, Dale Bros. Brewery, Brew Rebellion, Skyland Ale Works, Strand Brewing Co., La Quinta Brewing Co., and the Mountain, Bear Valley and Maltose Falcons brew clubs. 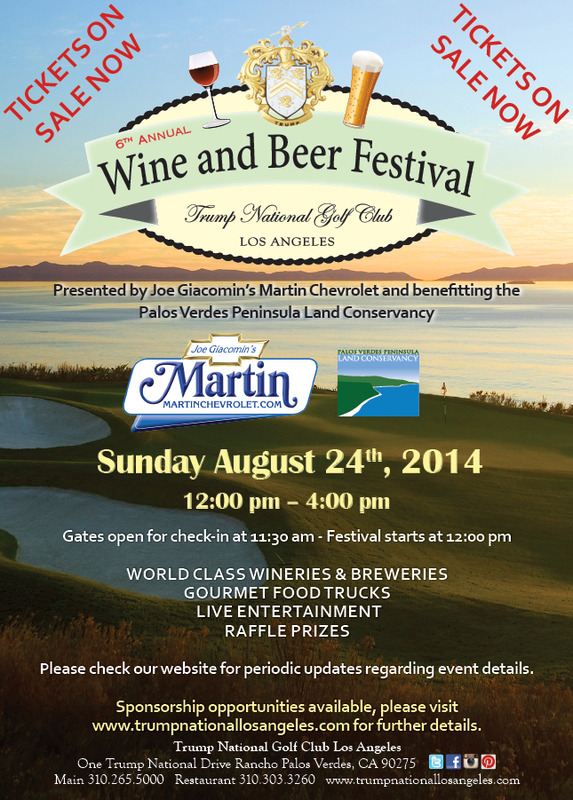 Stone Brewing Co. and Firestone Walker Brewing Company will also be represented at the event. 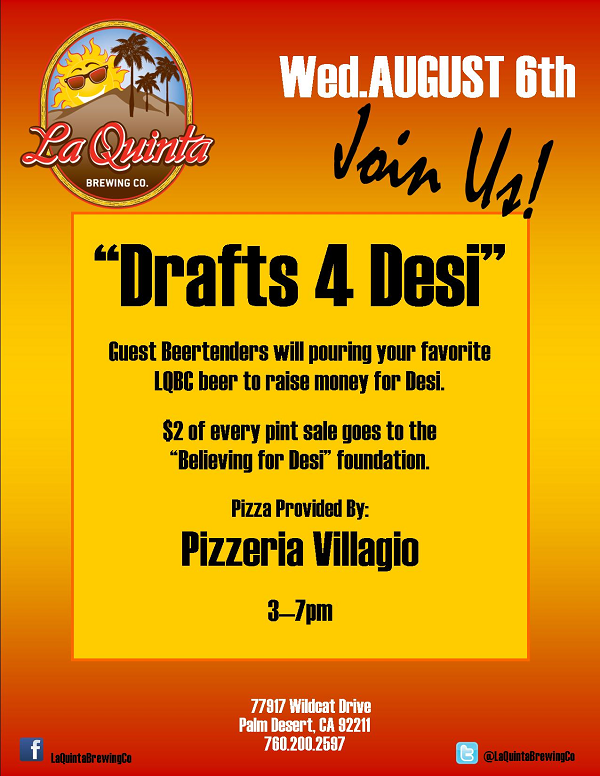 “Drafts 4 Desi” fundraiser today at La Quinta Brewing Co.
La Quinta Brewing Co. is hosting fundraiser today (August 6) for “Believing for Desi,” an organization raising funds for five-year-old cancer patient Desirae Cechin. Desi was diagnosed earlier this year with stage IV high-risk neuroblastoma, and has been undergoing chemo treatments at Loma Linda University Children’s Hospital. The money raised by the organization will help support her family and to help her get treatment at Memorial Sloan Kettering Cancer Center in New York. The hospital specializes in neuroblastoma and has a the highest neuroblastoma survival rate in the U.S.